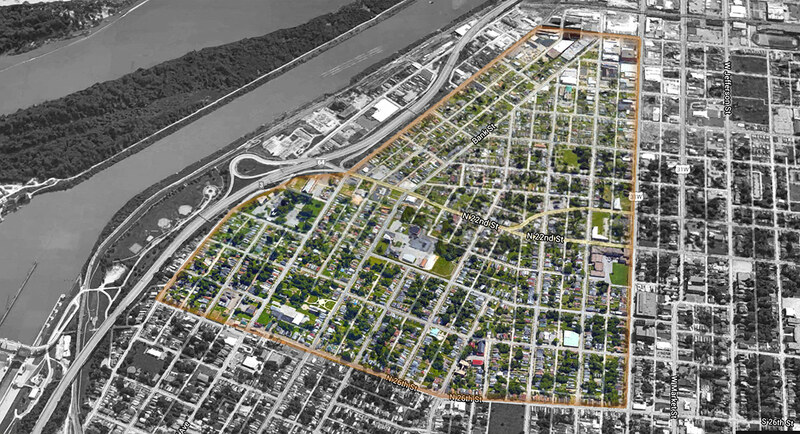 Louisville’s Portland neighborhood is going to the dogs—and that’s a good thing, according to Gill Holland, one part of the Artist Row Portland (ARP), a for-profit company helping to restore the neighborhood’s housing stock. When the ARP renovates a former crack den into the nicest shotgun house on the block, it gives its tenants a discount for having a dog. The group believes the move will help transform the neighborhood of 10,000 people into a community. “We want people on the street walking dogs,” Gill Holland told Business First‘s David Serchuk last week during an interview. In a four-legged twist on Jane Jacob’s concept of “eyes on the street,” Holland believes paws on the pavement can achieve similar results as dog owners trudge alongside their canine companions through all kinds of weather at all times of the year. Encouraging dog ownership ends up a distinct strategy in creating community. I am not a dog person myself, but I am deeply appreciative of well-managed dog parks because in many urban neighborhoods, dog owners are some of the only regularly walking people in a community–many neighborhoods outside of the inner core of Washington are dominated by automobiles and there is relatively little positive pedestrian activity on often empty sidewalks. Dog walkers contribute positive activity not just to streets and sidewalks but to parks. It’s very easy for a park to devolve into a dangerous place. One technique for people committed to disorder to keep people (especially families and children generally) out of parks is to break a lot of bottles–broken glass keeps a park free of children, making it easier to conduct illicit business and activities. Dog walkers help rebuild neighborhood groups committed to providing support and focus to neighborhood parks–parks that often are willfully or passively neglected by municipal governments overwhelmed by a variety of responsibilities, and lacking the resources to be able to provide regular maintenance and assistance and supervision. But before the dogs arrive, people need places to live. The Artist Row Project is an outgrowth of Holland’s larger Portland Investment Initiative (PII) to remake one of the oldest corners of the city new again. It’s a partnership between PII and New Directions Housing Corporation (NDHC), which has decades of experience doing just such community building. ARP launched two years ago with an initial budget of $11,000 from Holland and a goal of creating an arts district between 15th and 26th streets north of Main Street from the bones of run-down shotgun houses. The group announced this June that it had grown significantly to a budget of $600,000. And there’s plenty of housing stock to deal with. According to a January 2014 report by the Network Center for Community Change (NC3), nearly ten percent of the city’s vacant or abandoned property—over 400 structures—is found in Portland. Last week, Serchuk reported that ARP landed another $250,000 in private funding, bumping its coffers up to $790,000—all from private sources. The group uses those funds to buy the worst houses on the block in an effort to increase the fortunes of its neighbors. “We’ll take the worst one that needs the most work and hope other people take the one that’s not so bad,” Holland told Serchuk. “We are practicing urban acupuncture,” Holland continued, referring to a practice of making a large impact as efficiently as possible. The concept was popularised in Louisville by architect Kulapat Yantrasast of wHY, who is also part of the PII team. Yantrasast also used “architectural acupuncture” to describe his interventions at the Speed Art Museum. ARP owns ten homes in that 11-block span—including two former crack dens—and its new influx of funding will allow the group to take on four more. 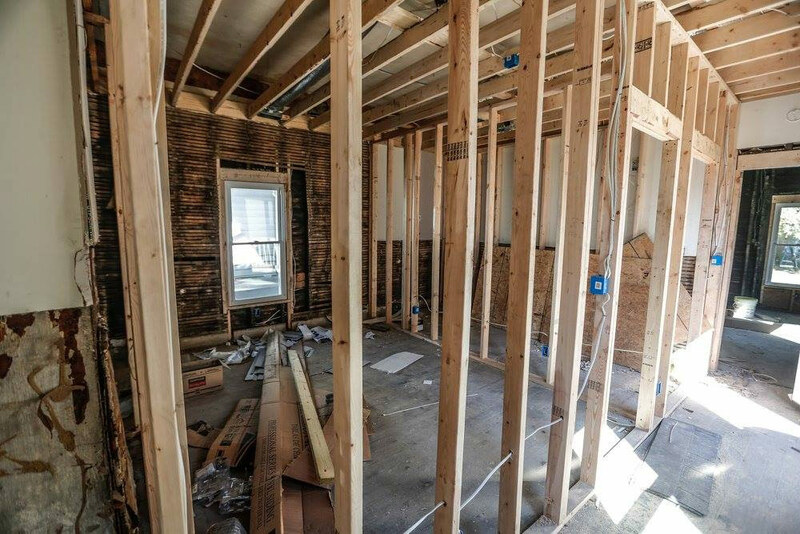 One of those is already in the works, Serchuk reported: a dilapidated shotgun house at 1847 Bank Street that ARP is buying from Habitat for Humanity for $5,500. The average house ARP purchases costs around $10,000. The median value of a single-family house in the neighborhood is $27,600, according to the NC3 report. But just because ARP picks up these humble abodes on the cheap doesn’t mean it’s raking in the money. The for-profit group is an impact investment firm, so it looks at more than just the bottom line in developing the neighborhood. They hope to show others that these renovations can be done for profit, even in this case of these extreme rehabs. ARP invests around $65,000 per structure to get it in occupiable condition. That level of investment makes some money, but the level of impact on the neighborhood is even greater than that profit. Once they’re fixed up, the homes are rented for $650 per month, or, as Serchuk noted, $620 if the tenants have that much sought-after dog. In a neighborhood of nearly 4,000 single-family houses, ten or 15 or a hundred might seem like a drop in the bucket. But by transforming the worst houses—that acupuncture Holland described—the entire neighborhood can be transformed. Creating a tight-knit artist row is hoped to spur waves of regeneration across the slowly awakening neighborhood. If a good neighborhood to raise a dog or two, a good place to raise a few kids. A good place to live. I like the idea of being a urban pioneer but a drive through this hood last Spring told my sensibilities no frickin way. Still way to run down for my tastes so I’m thinking more in line of Smoketown as being the next up and coming neighborhood…Anyone’s thoughts ? Portland has great potential but it’s still rough in spots. Smoketown has more potential based on its’ proximity to the Medical Center. A neighborhood I think might be next up is Taylor Blvd on the back side of the track and west of Central from Winkler down to Arcade, maybe Berry. Lots of Highbaugh 4×4 homes, WWII era, decent value if you can do reno cheaply. The Portland neighborhood is actually over twice the size of the aerial photo/outline. This is simply Gill’s eastern edge for the purposes of Artist’s Row. No problem there. He has some interesting ideas for the western half of Portland as well. The sheer size of Portland is part of the problem. Any area in the city of this size is going to have some rough spots(Russell, Shawnee, etc.). Smoketown has a small inventory of affordable stock compared to Portland, and the same house in the same condition prices out around $22k vs $9k in Portland, which reveals a soft rise in Smoketown. Smoketown also rests between Phoenix Hill and Shelby Park which are fairly stable and stocked, and there is quite a bit of work occurring in the Phoenix Hill area(See Madison St. etc.). Portland is surrounded by neighborhoods that are in a similar state of “rough”(Russell, Shawnee), although all three of these areas have some impressive work occurring right now. All of these urban neighborhoods will be in better shape in 5-10 years than they are now due to urban pressures(and the “Great Inversion” occurring nationwide) but East and West Portland as well as Shawnee and Russell will be a longer haul due to their sheer sizes. These 3 areas , for now, are more primed for the hardened investor who can accumulate and wait, than a young single or could who want to pioneer, fix up, and walk to their corner coffee shop in a year or so. Resale is flat throughout Taylor Blvd. (homes are too consistently small for any huge backend profits) and 4th/Central to the Downs could be interesting soon(4th could still be a good shopping spine, many large live/work possibilities both brick and frame and UofL is close). I remember that stretch of 4th St. having lots of hustle in the late 70’s. We purchased a rundown camel-back home in Portland in 1995 and remodeled it, adding on two rooms and an additional half bath to accommodate our growing family. Although we moved to New Albany in 2005 and began renting the home out, it is still the best home I have seen in the area. Unfortunately, two lots away stands a dilapidated, condemned house that makes the whole area look undesirable. I am grateful for any efforts to revitalize the Portland area and to remove the stigma associated with living there. The people in Portland have dogs. They don’t walk them; they let them run wild.